The Chinese Renminbi (RMB) surprised the world with its strength in 2017. Why? As of Dec. 29, the last trading day of 2017, the yuan’s onshore exchange rate stood at 6.5120 against the U.S. dollar, strengthening by 6.7% for the year, the sharpest annual appreciation in nine years. The performance was far from what the market had anticipated a year ago, when expectations ran high for a weaker yuan. A softening dollar against a basket of currencies was part of the story, as shown by declines in the dollar index in the past year. But the RMB also demonstrated strength against other currencies. The yuan exchange rate composite index released by the China Foreign Exchange Trade System, which measures the yuan’s strength relative to a basket of 24 currencies including the dollar, euro and Japanese yen, came in at 94.37 at the end of November, firming from 94.22 at the end of January. With sound economic fundamentals, improved regulation, a relatively tightened monetary environment and increased global use of the currency, the yuan’s stability has been justified and will stay well-supported. 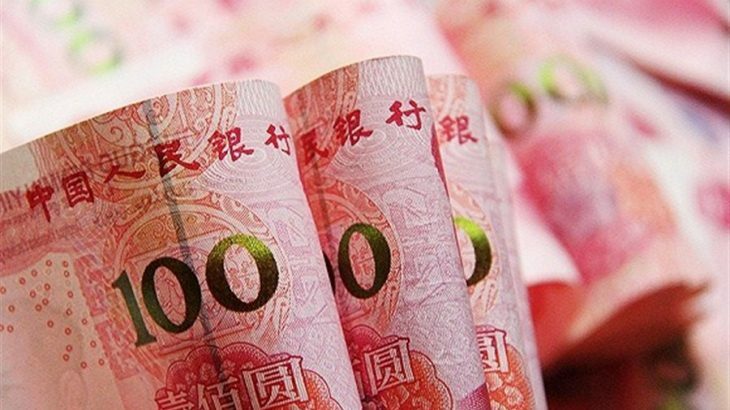 “The RMB will hold steady against a basket of currencies in 2018, with two-way movements becoming a norm,” said a research report from China Everbright Bank. A robust Chinese economy helped the yuan stage a turnaround, bolstering investor confidence in the currency. China’s economy is firming, with its GDP expanding 6.9 percent year on year in the first three quarters, and 6.8 percent in the third quarter, the ninth straight quarter for China to see economic growth of at least 6.7 percent, all adding to evidence that the economy is on a steady footing. The World Bank this month raised its forecast for China’s economic growth in 2017 to 6.8 percent, up from the 6.7 percent it projected in October, citing stronger personal consumption and foreign trade. Apart from strong GDP growth, China has also maintained a current account surplus, abundant forex reserves, sound fiscal conditions and stable financial systems, all helping support its currency. In the past year, China has cracked down on illegal capital transfers disguised as outbound investment, stepped up regulation of irrational overseas investment activities and strengthened scrutiny over irregular forex purchases by individuals. Authorities have also introduced a “counter-cyclical factor” to the existing pricing model of the yuan’s central parity rate against the dollar, aiming to moderate pro-cyclical fluctuations driven by irrational sentiment in the foreign exchange market. Thanks to these moves, cross-border capital flows have become more stable and balanced, contributing to a gradual pick-up in forex reserves. The forex stockpile dipped below 3 trillion U.S. dollars in January but increased steadily over the following 10 months, reaching 3.1193 trillion dollars at the end of November. China pursued a prudent and neutral monetary policy in 2017, applying a full range of policy instruments to maintain basic stability in liquidity and hold interest rates at an appropriate level. The U.S. Federal Reserve raised the benchmark interest rate three times this year, putting pressure on the yuan. While China’s central bank refrained from following suit, its open market operations saw interest rates go up in response, mitigating the impact of the Fed hikes. Policy makers will continue to adopt a prudent and neutral monetary policy in 2018, according to a tone-setting annual economic meeting concluded earlier this month. China has made strides in pushing the yuan to become an international currency and liberalizing its capital account, which helped attract foreign capital flows and shore up the yuan’s strength. Authorities approved a mainland-Hong Kong bond connect program in mid-May, allowing investors from both sides to trade bonds on each other’s interbank markets. “Northbound” trade, which allows foreign investors to buy bonds issued on the Chinese mainland, started in July. Following the launch of the Shanghai-Hong Kong and Shenzhen-Hong Kong stock links, which enabled foreign investors to buy A-shares with fewer restrictions than previous regimes, a similar program between Shanghai and London is also in the pipeline. Global equity index provider MSCI decided in June to include a number of Shanghai and Shenzhen-listed stocks into one of its most traded indices. The move is estimated to bring about 15 billion to 20 billion dollars into the Chinese capital market next year, according to Wang Hanfeng, an analyst with China International Capital Corporation. Uncategorized Currency, Money, RMB, Yuan. permalink.